SuperNova is the world’s first screen magnifier and screen reader, delivering unparalleled access to Windows tablets, laptops and desktops for people with visual impairments. Whether you have glaucoma, Macular degeneration, Nystagmus, Retinitis pigmentosa or any other eye condition, SuperNova has an edition to suit your sight loss. DocReader will now instantly word wrap and scroll long texts using your preferred font size, so there’s no need to cursor or click your way through long documents. Try the faster, smoother reading experience in documents, web pages and emails using CAPS LOCK + NUM PAD PLUS (or Shift + Alt + D for laptops). Choose your speech speed, colours and fonts from the Settings button (Alt + S). Following user feedback, the default magnification level is now set to 2x (previously 4x). Improved appearance of high-DPI compatible applications such as Office 2016 when magnified on a high resolution monitor (applications released after 2013). Supports changes to Windows text size settings (DPI) on high resolution screens. Added a new driver to support the Orbit Reader Braille display in USB HID mode. Updated multiple monitor support. Cloned monitors and non-native resolution monitors are now magnified. Removed spare display settings. Dolphin’s unique large print touch-screen keyboard now supports ‘glide’ or trace typing; simply run your finger over the letters and lift up when you hear the one you want. Improvements to performance and resource handling. 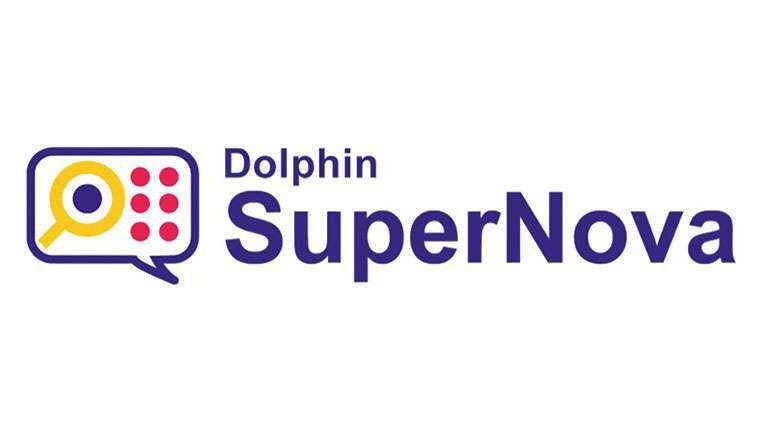 SuperNova 16.05 is a FREE update for existing version 16 users. Braille Visiting Card - Simple start to inclusion!